Clare Hadley, Chief Executive, writes: “Welcome to the latest editions of Mahi, the regular update to Councillors, keeping them in the loop about day-to-day happenings and work by Council staff. 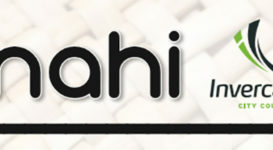 Mahi is designed to be an easy-to-read way for staff to keep Councillors informed of what’s happening work-wise right now, and what’s coming up. This is the “home” page for video clips relating to the work of the Council.